Manufactured especially for Titleist by Gustbuster, this umbrella is designed and wind tunnel tested to not blow inside out, even in gale-force winds! 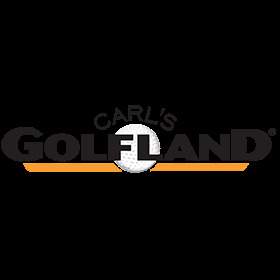 I am a longtime customer.. Carls Golfland has always provided the best prices anywhere for top of the line quality golf gear and their service cannot be matched.... 10 stars!!! I haven't had to use it in the rain yet, but the construction is quality and it works nicely in the umbrella holder on my Tour Trek cart. The umbrella has a Gust Buster logo on it as well. Sturdy, lightweight, ergonomic grip. You can’t really ask for much more out of an umbrella. Haven't had a chance to use it yet, but can tell it work... not only in wet conditions, but sunny/hot conditions as well... plan to use it to block the sun this summer on my clicgear push cart. Pro quality double canopy umbrella at the best price I have found. My son was elated that I finally found it. Tried to find it last Christmas & never could locate one. Your company had the best price & the quickest delivery I have had in a long time. Thanks for making my shopping so easy.